The structures that lie beneath our skin represent a remarkable and beautiful assortment of biological mechanisms that are essential for our lives. However, we often take these structures for granted. 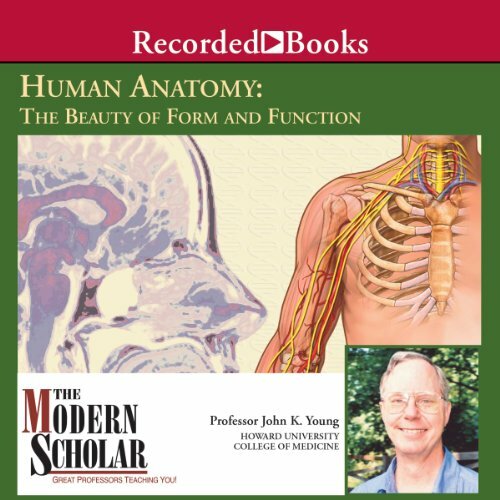 In these fourteen fascinating lectures from Howard University's Professor John K. Young, a basic overview of the human body, its physical features, biological systems, and general functioning will be presented for the benefit of anyone from budding medical students to curious laymen. 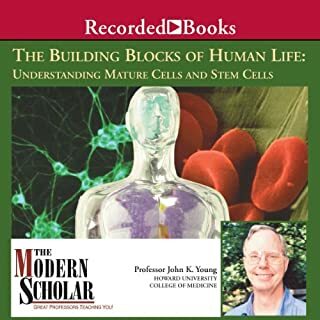 In Young's lectures, he shares the knowledge he has gained during his 30-year tenure as a teacher as he leads his audience on an unforgettable journey through the wonders of the human body. This book ended too soon. I loved learning the basic about how the body works. It was well organized by body part and made sense to a history major such as myself. There is a 73 page coursebook that comes as a PDF. I would buy Part 2, 3, 4, etc or anything by this author. Fascinating from head to toe. A superb read covering the basics of our body in an easy to follow format. Worth listening to twice to fully grasp some of the concepts. Professor Young is an engaging speaker. A good primer of human anatomy and some physiology with concommitant implications for medicine. Very accessible to the layperson. The author and read surely has a talent for not only human anatomy but teaching as well. A must listen for anyone who is lucky enough to be in possession of one of these remarkable machines known as the human body! 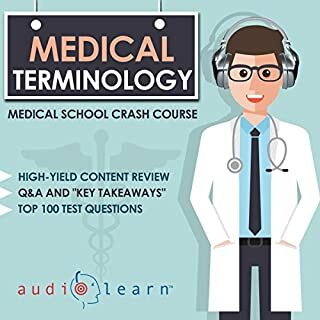 This course helped me with my Paramedic studies. Highly recommend to help you comprehend the anatomy and physiology lectures in class. This author is definitely a gifted teacher and I love that he was also the narrator. This book brought to life a topic that I thought would be impossible to leach via audio. Clear delivery and knowledgeable presentation. I needed to review the subject: Human Anatomy, for a class and found this book, which was a very helpful book. This book is a great book for people that love Anatomy. Has very interesting facts. Very understandable. I love the fact that it has some questions at the end of some of the chapters. I recommended. I love Dr. Young. I've listened to both this course and his lecture series on cells and I'm planning on revisiting both of them again many times. He is very easy to listen to and you feel like you're becoming friends with him as the lectures go on. Highly recommend. very informative. like listening to a father. I like the deseases that are interesting to talk about. it gives a good discussion about each symptoms. just the terms interested me. I went into this course very skeptical: don't I need to see pictures and diagrams etc? And how interesting can a list of organs, bones and muscles be?? Well I was very wrong to be worried on both fronts. As the lecturer states early on, you don't need pictures because you have a body attached to your head! As for interest, this course is far more than a list of bones and organs. The lectures cover every large aspect of the human body, from bones to the reproductive system. Whilst he does discuss individual bones and their latin names, this is only so that he can discuss how the form of them gives rise to function which ends up being way more interesting than I would have guessed. He also gives comparisons with the anatomy of other species, and pulls in information from embryology and biochemistry, which adds a whole other dimension and really leaves you feeling like you understand things a lot better. I enjoyed every bit of this course and will probably go back and listen to a few of the lectures again because they are so interesting. Wholeheartedly recommended! This lecture series has been awesome to listen too, I think I probably learnt more Human anatomy in 5 mins of listening to this, than I did in any of my Science classes back at school. The lecture is very easy to listen too, unlike many narrators who have irritating voices, I found this to be fairly soothing. Would you listen to Basic Human Anatomy again? Why? I got this book to aid my study of Human Biology, Anatomy and Physiology at level 3 standard. The book was perfect for this purpose and spot on with subject choice. I would listen to the book in bed and when driving the car, the revision was very beneficial and the ease of understanding is good. The lecturer is obviously very knowledgeable on his subject and speaks with an easy flow and pace. What was one of the most memorable moments of Basic Human Anatomy? very well narrated, informative, and accurate. well taught, and very interesting with good examples given. easy to listen to, and well laid out.